Interim Budget 2019: How Income Tax slabs have changed since 2014? 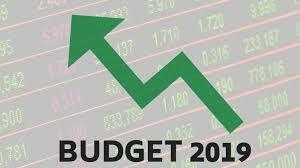 As per the Interim Budget, the direct tax collection has increased substantially. The number of returns filed have increased from 3.79 crore to 6.85 crore, showing 80 percent growth in tax base since four years. In 2018-19, 99.54 percent of the income-tax returns were accepted as they were filed. Indian taxation system has come a long way since 2014 when the Narendra Modi-led National Democratic Government (NDA) came to power in India. The NDA Government came into power at a juncture where India needed a decisive leadership that is free of corruption, policy paralysis and coalition compulsions. Though the Government implemented several welfare schemes in key areas such as financial inclusion, affordable housing, 100% electrification and transportation connectivity, its two big financial decisions were demonetisation and the implementation of Goods and Services Tax (GST). The implementation of the GST, a uniform tax rate fixed for both goods and services across India, was one of the biggest changes in the Indian taxation system. Despite this, few major changes have been introduced in the tax rules since last five years. Taxation reforms in 2015-16 No major changes announced in personal income tax slabs and rates. 100 percent tax deduction for contribution to Swachh Bharat Fund. For the salaried class, transport allowance limit was doubled from Rs 800 per month to Rs 1,600 per month. Hike in deduction limit for health insurance premiums paid. For individuals, the limit was increased from Rs 15,000 to Rs 25,000. For senior citizens, the limit was increased from Rs 20,000 to Rs 30,000. Hike in surcharge on taxable income from 10 percent to 12 percent for those earning more than Rs 1 crore. With the passage of Finance Bill, 2015, the wealth-tax was abolished with effect from assessment year 2016-17. Taxation reforms in 2016-17 For taxpayers having income above Rs 1 crore, surcharge was increased from 12 percent to 15 percent. For individuals living on rent but not receiving house rent allowance (HRA), maximum deduction on rent paid under section 80GG was raised from Rs 24,000 to Rs 60,000. Individuals with income not exceeding Rs 5 lakhs per annum, the ceiling of tax rebate under section 87A was raised from Rs 2000 to Rs 5000. For the property buyers, an additional deduction of Rs 50,000 was introduced under section 80EE, provided all the other conditions are satisfied. Taxation reforms in 2017-18 The Individuals tax rate on income from Rs 2.5 lakh to 5 lakh was reduced to 5 percent instead of 10 percent. 0% tax liability on income up to 3 lakh 10% Surcharge on individuals with income between Rs 50 lakh to Rs 1 Crore 15% Surcharge on individuals with income of Rs 1 crore and more Income tax rates for small companies with an annual turnover of Rs 50 crore were slashed to 25 percent instead of 30 percent. Taxation reforms in 2018-19 No changes in personal income tax slabs. 100 percent tax deduction to farmer-producer companies having Rs 100 crore turnover. Corporate tax was reduced to 25 percent for companies having turnover of up to Rs 250 crore. A standard deduction of Rs 40000 for transport and medical reimbursements. The revenue cost of this reimbursements was fixed at Rs 8000 crore. Long term capital gains tax of 10 percent levied for amount exceeding Rs 1 lakh. Exemption of interest income for deposits in banks and post offices was increased from Rs 10000 to Rs 50000 for senior citizens. It applied to all fixed deposit schemes. Individual tax payers with taxable income of up to Rs 5 lakh will get full tax rebate from now on. Those earning Rs 6.5 lakh will not have to pay tax, if they invested in specified savings such as PF, PPF, etc. However, the tax slabs will remain unchanged. This move will benefit around 3 crore middle class tax payers. For salaried persons, Standard Deduction is being raised from the current Rs 40,000 to Rs 50,000. The Tax Deducted at Source (TDS) on fixed deposits and postal deposits will be exempted for interest earned up to Rs 40,000 from Rs 10,000 currently. The rent up to Rs 2.4 lakh will be exempted from TDS. The benefit of capital gains of up to Rs 2 crore will be increased to investment on two residential houses. This benefit can be availed only once in a lifetime. The benefit of the section 80IBA of Income Tax Act will be extended for one more year for availing of the affordable housing.